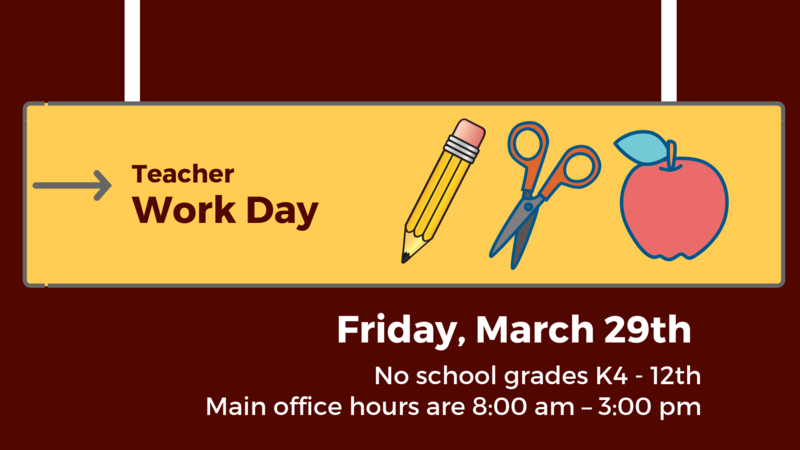 Please be advised that next Friday, March 29th, is a teacher’s work day at LCS. Therefore, there will no school for grades K4 – 12th. The main office will be opened from 8:00 am – 3:00 pm.